THIS IS A PIECE OF JUNK. I HAVE TO REBOOT MY COMPUTER ALMOST AFTER EVERY SCAN. IT IS VERY, VERY SENITIVE. IF EVERYTHING NOT ALIGNED PRECISELY, IT WON'T WORK. SOMETIMES I HAVE TO NOT ONLY REBOOT, BUT HAVE TO RELOAD THE SOFTWARE BECAUSE MY COMPUTER DOESN'T RECOGNIZE THE SCANNER - SAVE YOUR MONEY. I've just finished installing and testing my slide scanner....what fun!I had absolutely no problems with installation or using this scanner.Using advice from Jeff Lindborg's review and the manual, I installed the software first, then hooked up the hardware, then followed the manual's instructions for batch processing.I did roughly 40 slides in about 1 hour, including the time to do color/brightness adjustments (my slides are from 1970's). I have returned this to Amazon and they have kindly agreed to refund my money. Other buyers should be warned. This is a poorly engineered, flimsy, badly documented product with no support number that I could find in the materials that came with the scanner. The documentation is simply wrong in its startup instructions for a Mac OSX machine. After figuring out how to make it start, I successfully scanned several slides and negatives (fewer than ten out of hundreds needing to be done) when the machine physically jammed. The cheapo plastic slide and film holders may be the problem, or the motor of the scanner, or gears, who knows? You can't get in touch with Minolta support to find out. Once I got it unjammed, the scanner inexplicably stoppedmaking legible scans. The picture would be either a purple blob, for color slides, or black and white ultra-high contrast things for b&w negatives that lookedlikesomeone had done a bad Xerox of a newspaper photo. Awful. The level of detail would not be acceptable in a thumbnail, much less a finished scan. I tried restarting the computer, the scanner, re-initializing, etc, and nothing worked. If the scanner itself had not failed, I am sure the plastic film holders would have broken long before I finished my work. Anyway, at that point I asked for my money back and boxed it up and sent it back. If it worked, it might be good. Needing a slide scanner for an upcoming project, we bought this one in January, in California, and finally installed software, etc. and did hookup in April.Ran through some slides, and seemed okay,until we previewed the slides and found a narrow 'rainbow' line running vertically through each slide, just left of center.After examining every aspect of our undertaking it came down to the scanner, so we called their customer service dept, in New Jersey.The person with whom we were connected knew nothing about the technical aspects of scanners and would only say that we had to send the scanner to New Jersey for diagnostics/repair and we MUST include an orginal copy of the paid sales slip or we would be billed.When asked, we were told it could be 6-8 weeks before we received the scanner back, from the time they received it.So, in the middle of our project we had to box it and send it off - at our expense - to Neverland (New Jersey), and go buy another scanner for our project.Do you think we bought another Konica/Minolta?Not in this lifetime.A product is only as good as its mechanical abilities and the customer service behind it.So far, this company and this product are a miss, in our experience.Pay more and buy from the competition, where you will get a better product and much better customer service, with local repair possibilities. As an aside, we shipped over ten days ago, USP Priority Mail, and have yet to hear from Konica/Minolta.We are not holding our breaths. 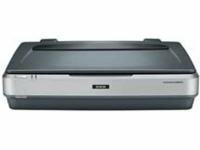 The 10000XL photo edition is a large-format flatbed scanner designed for graphic artists and other high-end users. With its high 2,400 dpi scanning resolution, 48-bit internal color depth, and 3.8 optical density, images are crisp and accurate, while the six-line alternated color CCD and auto focus optics system help to ensure that you get the best scans possible. Scan speeds are as high as 2.7 ms/line at 1,200 dpi, while an optional automatic document feeder allows you to scan multiple pages at a time. An included transparency adapter lets you scan positive and negative 35mm and medium format transparencies and film up to 5" x 4", making it easy to get great scans every time. You can also zoom in 1% increments anywhere from 50% to 200%. The 10000XL connects to your computer via its standard USB and Firewire ports, while an optional network adapter lets you use the scanner as a network resource. The AC 100-120V power supply consumes less than 55 watts during normal operation and about 6 watts while in sleep mode. The software includes EPSON Scan 2.2, MonacoEZcolor with reflective IT8 Target, Photoshop Elements 2, ABBYY FineReader Sprint OCR, and LaserSoft Imaging SilverFast SE 6. Compatible with both PC and Mac operating platforms, the 10000XL comes backed with a one-year limited warranty. Professional results2400 dpi optical resolution, duplexing ADF, included TMA, and document software. 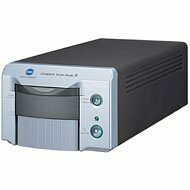 High-quality scans at 2400-dpi optical resolution and 48-bitcolorplus fast, easy operation from a duplexing automaticdocument feeder. Scans slides and negatives with includedadapter. TWAIN drivers and document managementsoftware included. Sorry for the juvenile review title, but there's really no other way to put into words the frustration that I have experienced from trying to work with this stupid thing. The interface is cumbersome and largely unnecessary. I bought it because, at the time, it was just about the only reasonably-priced multi document feeding scanner I could find. I don't need this multi document feed for office work, like most people; I need it for animation. If you're at all familiar with the process of animation, it requires that MANY MANY MANY pictures be used, and I was looking forward to cutting down on my work time by having the scanner do most of my paper loading for me. Oh, foolish little me! Not only does the paper jam 60% of the time, but the scanner always wants to scan it into the stupid software that came bundled with the scanner. So even if I'm trying to scan an image directly into Adobe Photoshop, I first have to go through the "HP Gallery" or whatever, copy the picture, and bring it in that way. I set it so that it automatically scans into Photoshop, but when I turn off my computer, it forgets its new instructions and goes back to uploading everything in the HP Gallery. It eats up time, desktop space, and PATIENCE. Oh yes, and the TWAIN drivers that it supposedly comes with won't work on my Macintosh. Sure, it specifies that NOW, but back then when I was doing tireless research on the product, it didn't tell me that you can only get the drivers on a PC, so I basically wasted $500.00 on a piece of machinery that isn't compatible with my platform, my animation program, nor my sanity. HP wasn't much help; they advised me to download some free software from their site that would install the TWAIN drivers that I'd need to work with my animation program, even though the software was originally for a digital camera and not a scanner. "It should still work, even though it's not technically for that hardware," says the guy. Well, no, quite frankly. It does not, in fact, work. All that it does now is confuse my scanner for a digital camera and refuse to upload anything into Photoshop or any other program for some bizarre reason. In uploading the digital camera software, by the way, it completely wiped the existence of the scanning software that I already had on my computer so that I had to manually upload it again. I can't wait to sell this thing and get at least a portion of my money back. This thing is such a headache, please don't waste your time with it. Constant jamming, especially in duplex mode, very difficult to get the paper out of the machine once it jams. I returned *two* of these scanners! 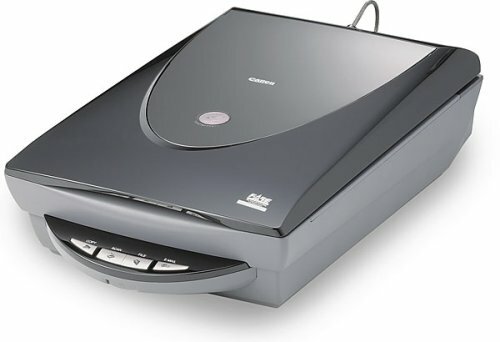 This scanner was appealing because of the low cost/features combo. The first one we received worked alright for about 100 pages worth of scanning then the ADF started to pull more and more to one side very quickly resulting in jamming every page into a little ball. We called HP, they called it defective and took it back. Second scanner, I had only half-unpacked the unit when I realized that the 'cancel' button on the front panel had been crushed down into the chassis. Called HP, they called it defective and took it back. I'm looking at the Xerox DocuMate 510 now, hopefully it won't fall apart. I have been looking for a reasonably priced duplex ADF scanner for some time now, I want to scan a file cabinet of documents and shred the originals.I thought this HP was it, it isn't.I spent several hours over a few days giving this guy a workout.I scanned stacks of bank statements (30-35 pages at a time) (8.5 x 11) and mortgage documents (8.5 x 14) both single sided and double sided.Several times the ADF jammed (roller slipped and eventually gave up) and I had to man handle the stuck page out, I could find no way to release its grasp of the paper.These were not glossy pages, just typical bank statements.Other times one or two pages of a stack of 35 would scan in only a third of the page.It cannot scan duplex pages longer then 12 inches, I don't know why.Duplex scanning takes more then twice as long as simplex because it has only a single scanner and must flip the page (I think it does this flipping twice).The software wasn't smart enough to handle scanning mix length pages, if I had a document (for example: mortgage papers) with a mix of letter and legal size pages I had to tell the software that all the pages were 14 inches long otherwise it truncated the legal size to 11 inches.It all boils down to a lack of trust for me.Before I go shredding originals of these documents I need to be able to trust that I have good electronic copies and this scanner/software didn't establish that trust. Excellent, Heavy Duty, Will do the job! 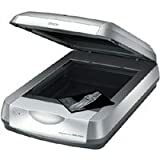 I considered this scanner in comparison with the Epson 4990.I bought the Epson 4990 instead because of my previous experience with Microtek's now anonymous customer service.My previous Microtek scanner caused aggravation from the very beginning, giving an error #204, allegedly related to lamp or sensor failure.After shipping it at MY expense, Microtek replaced it with a second one that suffered the same problem.Microtek's web site indicated that they were well aware of this design defect since they offered a variety of possible software related "fixes," none of which worked. I used the scanner no more than 40 times before it died.That is NOT a very good "MTBF" (mean time between failures). I wrote that customer service is now "anonymous" because they will not identify themselves to you.Not only that, but they REFUSED on the basis of "company policy" to give me the name of the chief corporate official so I could write to him or her.I had to retrieve the name from a State of California web site! The Epson 4990 has roughly the same capabilities and sells for less!It will handle 35mm, 120, 4 x 5 and 8 x 10 negatives and transparencies.The basic model comes with SilverFast SE.If you want the full version of this software, you need to buy the Epson 4990 Professional.It is priced about the same as the i900! My Microtek i900 arrived on Feb 1. Six WEEKS later is was completely broken and I had to send it in to be replaced. Along the way, Microtek customer "service" was anything but helpful. In fact, they have ONE technical support person on staff--I know because I spoke to him several times. The scanner itself produced fine results. Even if it produced the best scans ever seen, I would avoid Microtek at all costs due to their awful product support and performance. I was looking for a scanner to help me archive 20 years of slides, negatives, reviews, newsclippings and then archive these to CD.I received this scanner yesterday and it was up and running in less than 30 minutes. Other than it being LARGE (Legal size flatbed)- and has some noise (whirs, clicks), the scans are fast, the software is easy to use, and the auto correction features in the Microtek,& Silverfast software is easy to use, robust. I was able to batch jobs, import into Adobe Elements for touch ups, and completed 36 slides in about 40 minutes. But considering the age of the slides and photos, this is doing a terrific job. Can only give 1 Star - it did not work out of the box. No Lamp light, no carriage movement, and sort of looked like somebody blotted their pink lipstick on the mirror. Had high hopes, if it had just worked. Maybe this was one in 10,000, maybe. I wanted a scanner that would scan any size film negative and paper too, but did not want to to pay a million bucks for it-This is the one! I know an antique dealer who gets these glass negatives from sales and estates and I have been able to place 4 of them on the pull-out drawer and scan them with great results. I have also scanned some old negatives from film cameras from the 1920s and 30s. 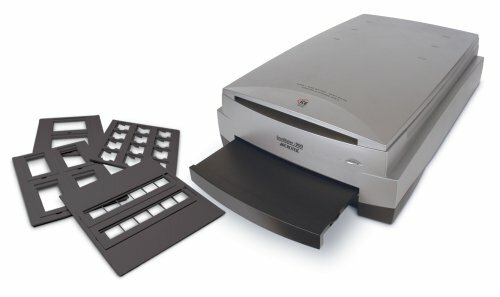 The scanner has a large platten (legal size) for doing paper and a drawer like platten that pulls out from the bottom for doing slides and negatives. There are several inserts that will accept the different types of media. I have found that the 8x10 glass drawer is the most versitile and easiest to use. The i900 comes with 2 different software packages for both Mac and Windows; Scan Wizard Pro, and Silverfast, professional scan software. I installed both of them but so far have found it easy enough to stick with just the first one. It has a very intuitive interface and I have had no problems at all. The "Digital Ice" technology is interesting and effective but it is slow- I have found it just as easy to do a regular scan and repair the photo myself in photoshop. The only thing that might count against this thing is it's size- It's big. And it's heavy. It's dimensions are 15"x22"x6" and it weighs 30 lbs. So if a small footprint is something you have to have, forget this baby. If you ever manage to get this working, i.e. by installing everything 'virgin' on the first day, leave it as it is. Forget upgrades, forget twiddling, forget the little niceties. Just be glad you are able to scan images and be DOUBLY glad if you are able to scan them in Photoshop without the twain item disappearing. HP have insanely bundled the basic TWAIN driver so closely with 300mb of superfluous bloatware (HP imagezone)that updates are lengthy and in any case VERY likely to fail. When it's worked I've been pleased with the quality of the scans, though the neg/slide scanner is pretty basic, but for how badly thought-out the software has been, I regret ever having bought the bloody thing. I bought this item because the resolution was 2400 dpi and I could scan multiple pictures at once, and the software would separate them into separate pictures. After I bought this the scanner would not separate the pictures at a resolution above 600 dpi. After several days of back and forth with HP tech support. They finally tell me that this scanner can't separate the picturesabove 600 DPI. Then they tell me that you can't tell the difference between an image scanned at 300 DPI and one at 2400 DPI. P.S. That business of "scanning a stack of Pictures" means you lift the lid put a stack of pictures in the holder close the lid, scan it, open the lid, remove first picture, close it, scan it etc. I was very excited about getting this scanner.But I had nothing but trouble trying to get it to work.The software required would not install, giving a Fatal Error.I worked with 4 different support technicians at HP, each guessing another thing to try - all to no avail.I am a software professional and a power user, so the issues were pretty bad to have held me up like this.I am now looking at other brands of scanners. Elegant hardware.Awful software for slide scanning. Like a previous user, I purchased this scanner for scanning slides.I only tested it's slide scanning capabilities. If you do not intend to scan slides, then this review may not apply to you. The software makes the scans take forever to do, at 200 DPI !Push the button and 60 to 90 seconds later, it starts the scan.If you immediately press the button again after that scan, it still takes 60 to 90 seconds to start the new scan.It acts as if it has to wait for the bulb to warm up.The bulb is already warm!The software really restricts you, and it does not work the way you think it should. This scanner may be fine for scanning other items than slides, but for scanning many slides, forget it. If HP rewrites the software, this would be a really nice scanner.With the present software, it is really bad for scanning slides. You must download a patch from HP to install the software.Even on HP computers! I have been using the scanner a couple of weeks now. I have only used it to scan documents and photos, not slides or anything fancy. The quality of the scans is pretty good actually, never the less the software really, really, stinks. I'm using photoshop now to scan the images and i'm fine that way. I would give it 5 stars if it had good software. Everything else is very good, nice price and everything. Scan transparencies as large as 8" x 10": Built-in transparency unit with moving light source scans up to twenty-four 35mmnegatives simultaneously. Provides an illuminated scan progress indicator as part of its sleek design. Automatically restore faded color photos: Innovative Epson Easy Photo Fix technology offers automatic color restoration and dust removal features. Renew vintage film and photos. Digitize and restore stacks of negatives in just a few simple steps--and rediscover moments from the past! It's all possible with the Epson Perfection&reg; 2580 Photo. With its new, easy-to-use Auto Film Loader, anyone can quickly scan and view individual frames of 35mm negatives. And, with one-touch color restoration through exclusive Epson Easy Photo Fix, it couldn't be easier to bring back the brilliance of every cherished event. Best of all, with astounding 2400 x 4800 dpi resolution, it's a snap to achieve remarkable detail, ideal for reprints and enlargements. Fully automatic scanning and other innovative features make it easy to scan photos, film, or text with consistently vivid results, while Epson Smart Panel and convenient bundled software allow for added creativity. And, with Hi-Speed USB 2.0, the Epson Perfection 2580 Photo speeds through every scan. That, combined with the remarkable efficiency of the Auto Film Loader, makes it simple to archive and organize boxes of negatives in a flash. Compatible with both Windows&reg; and Macintosh&reg;, the Epson Perfection 2580 Photo provides the ideal solution for any scanning task. Offering incredible versatility and detail in one affordable solution, it's the perfect choice for bringing old memories to life. I bought this scanner with the intention of scanning in all my daughter's wedding negatives.After investing at least five hours muddling around with the inept software that came with the scanner, I finally figured out the non-intuitive method required to save settings and repeat the process of scanning negative strips. Long story short, after spending dozens of hours more scanning in negatives, I realized every image had a reddish cast to it.Dozens more hours were spent performing color balancing with Adobe Photoshop Elements.As an experiment, I tried scanning in a couple of proof prints and compared those images to the same images scanned from negatives.The proof images were clear and beautifully color balanced, as opposed to the negative images, in which everyone appeared to have a sunburn. So the moral of the story is this: don't assume images scanned from negatives (at least with this machine) are necessarily superior to print-scanned images.That mistake cost me hundreds of wasted hours.I don't know if the problem was in the negatives themselves (the printed proofs are just fine), or the negative scanner on this machine.But I am extremely disappointed with the results. I have read all the review regarding this product from all the web I can find. Finially I decided to buy it. The first step is to install the software. Since I know it could get me into trouble if I did not follow the instruction, I carefully unpacked it and began to install the software. Just right in the stage of installing "Epson Smart Panel," it encountered problem of "can't find appinst.ini" I ignored it and installed the rest of it anyway. Afterall, I found there is no Smart Panel software. I called Espon Software Tech Support. Two guys answer my question nicely. I did follow all their instruction trying to download Delreg 3.0 for cleaning up my previous installation and deleted Espon pack in "twain_32" then using MSConfig to disable all the effection softwares. Finally, .... it still could not work. I have brand new HP computer with XP service pack 2. I don't know what caused the problem. If this problem cannot be solved, I am going to return this product tomorrwo. 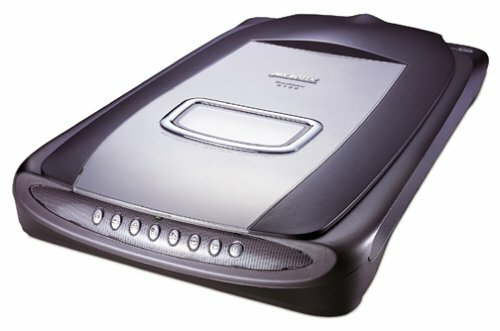 An excellent scanner for the price. Before purchasing this scanner, I was a bit afraid that it was priced too low for the quality I wanted.Turns out I was wrong.I've scanned almost 400 frames from negative strips so far, and couldn't be happier.I've been using the 200 dpi setting, which is just fine for my needs, although it will go much higher. There are a couple of things to point out.The auto-feeder has trouble grabbing bent negatives.It also has trouble with night-time photos, because it can't see the separation between the frames.The software is pretty easy to use, but still could have been written a little better. Also, if your scans come out murky or off-color, try the "Color Restoration" option, under Image Adjustments in Home Mode.You have to select that option for each frame.But it can make a big difference, even if your negatives aren't old at all. Film Scans 'can' be great, sometimes better than original.. So I did a lot of looking around at the more expensive scanners, then this one caught my attention. It was given a best buy award from PC World, and four other top review sites gave it good ratings. I thought cheap price and good ratings, wow, that can't be true. 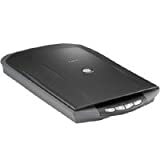 I ended up buying this scanner with a rebate. I got it home and setting it up was a snap. It does seem a little flimsy in comparison to my 6 year old Hp 5200C (which was enormous). The included software is really a joke. I agree with the poster who said it can be confusing. So until you want a headache, my advice is the stick with the desktop icon "Epson Scan".Also for your first scans stay with "Home Mode" not Professional. Now on to the scans, first I scanned a 4 by 6 colored photo at 300dpi, and it looked fine. To my surprise, it looked about the same as my 6-year-old scanner. The colors were true, skin tones were great, but dark and light areas had just a tad too much contrast. Easy to fix with Photoshop (or other photo editor). Then I tried the film scanner, which I have NO prior experience.Now I should mention I was using the Professional Mode and scanning at 600DPI. My first scan was horrible!! The picture was so soft it appeared to be out of focus!! My daughters' blue dress appeared purple, and over exposed. After many more tries I started to wonder why it got such High ratings? There had to be something wrong. The next day, I started the scanner in "Home Mode", played with nothing, and on the first scan got a picture that actually had More detail than the original print. Other than changing to "Home Mode", I don't know what could have been the problem. I've now scanned 60 35mm filmstrips with what I would consider great results. The film feeder works great but not flawless. No filmstrips have been damaged, and I find that lining your filmstrip edges up with the metel bar as your putting it in the scanner works best. If the scanner won't take in the film, you may have it the wrong way as it's hard to tell (with old film) what side is up and what side to put towards the scanner. Also, I'm scanning now, as I'm online typing! So it doesn't hog your system like some programs. Lastly one reviewer said you'll be taking scans of dust, and it's true if there is dust and prints on your filmstrip. Then there will be dust on your digitized image too. I find a lent cloth works great for taking prints and dust off a negative. 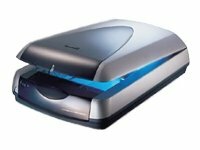 The only other thing I want to mention is the life span of this scanner is only 10,000 cycles, the more expensive scanners have about 36,000 cycles. My conclusion is, that for the price it's a great buy. I would have given it five stars if it won't for the software issues. I've had the 6100 Pro for a little over a week now and so far I am pretty happy with it.Setup and install was fairly simple and so far I have had no problems with it.I am especially impressed with the included Silverfast AI 6 software included with the unit.My parents are celebrating their 50th wedding anniversary and I have to scan a bunch of old family photos and create a slide show.When I scanned a picture of my parents wedding using Silverfast, the results were better than the original! Here are a few impressions from a rather novice scanner.I bought the machine to do mostly 35mm slides, and 35 and 120 negatives, both color and black and white. I didn't want to invest in a dedicated Nikon 35mm scanner yet, because I just don't have the time right now to do enough scanning to make it worthwhile.Nevertheless, this scanner seemed to me at the time (4 months ago) to have the best software package: the full Silverfast version and have very good resolution. The scans of 35mm slides are pretty good.One can use the Microtek software or Silverfast.Frankly if the slides are in pretty good shape, I would use the Microtek software since it is the faster than Silverfast in batch processing.On the other hand, when the slides are in bad shape, Silverfast really shines.In fact, Silverfast almost makes using Adobe Elements unnecessary.Oh, and Silverfast can do levels, unlike Elements. Unit good when it works, problem is it doesn't always work. 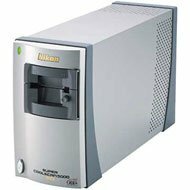 I purchased this unit in Dec 2003.Scanned a few slides, then came back to in a month later.The unit would not load or unload slides.It made all sorts of grinding noises.Minolta fixed it under warranty.When they shipped it back, it had a damaged face plate.I stupidly did not bother to call them back and demand it to be fixed again.I did not care about minor cosmetic damage to the face plate.I subsequently scanned over 500 slides with it with good results.I did not use if for several months, and now the unit is dead.Won't load or eject the film holder.Now Minotla claims it is damaged and not under warranty.Before you buy this unit, look for others will similar repair problems.I wish I did before I bought this scanner.Not recommened do to thepoor workmanship and faulty design that requires frequent trips to the repair shop. about numerous items that may force me to return it. of my last slide scanner. to scan prints from a flatbed. to the look of the user interface, which leads me to distrust the value of many of the suppposedly automated functions, such as noise reduction and dust and scratch removal. remarkable support ware for scanning which it is not. when you leave it unattended after scanning. makes transfer much faster than any USB scanner will muster. what in golly's name is the focussing button for? job, Minolta. Mine is to focus the camera. I'll be looking to another company from now on. business of a PRO photographer. Please, check out postings on serious digital photography forums before even considering this scanner. I would suggest the Digital Darkroom forum at www.photo.net (you can search for DSE 5400 related threads) and especially the Film Scanners forum at www.photo-i.co.uk. 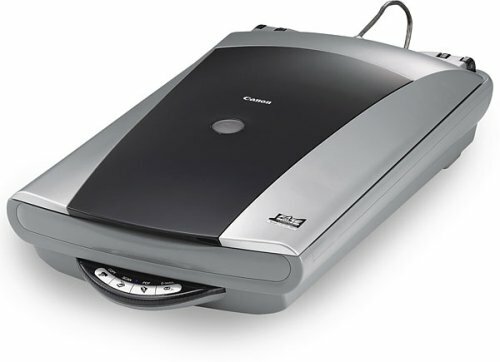 Regarding my personal experience with this scanner, my unit was faulty right out of the box (the "green lines" problem, see forums for more). 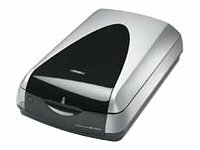 As of now my (less than one month "old") scanner has been at Minolta repairs service once where it was cleaned. NOTHING was actually done to repair the problem despite the truckload of info (including my original slides and their scans) that I'd assembled for the repairs service. In the next few days the scanner will be shipped out for repairs again but I have a big suspicion that my problem will be ignored just as the first time. This is what I think about this. Yes, if you are lucky to get a perfectly operational unit, it would produce excellent scans for you. However, my feeling is that Minolta is pushing a poorly designed and tested product that is inherently faulty and susceptible to various quality problems. 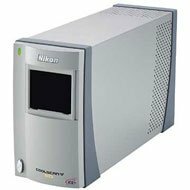 Currently the risk of getting such faulty unit is fairly high, and if you read this post then you know how you will be treated by Minolta repairs. Minolta appears not to be an honorable company. There is a big chance that if your unit is not operating as it should it will not be repaired but you will not get a refund for it either. This is a wonderful machine.Software installed first time, not common for scanners, and worked first time.I have a ton of stuff on my machine (XP/Pro) and found no conflicts. Best film/slide holders I've seen. Easy which does a quite good job, but with little ability to change settings and full which lets you adjust everything.The third mode is batch which lets you set up to scan all negs or slides in the holder. The full mode can be used within Photoshop (or Photoshop Elements 2 which is included). All film scanners are slower than flatbeds and this is no exception.An ultimate negative scan (Maximum input resolution, Maximum output resolution, 48bit color, Digital Ice) takes just under 4 minutes and produces a 233Meg Tif file.But you seldem need quite that quality. Most scans would be about 1.2 minutes to 3 minutes.Negatives take longer than slides. You must have USB 2 or Firewire!You could connect this to USB 1.1, but speeds, especially at the high end would be terrible. My only complaint is that you can't tell the software the length of the film strip.My of my film is in 4 negative strips and the software always scans the whole holder which is 6 long.